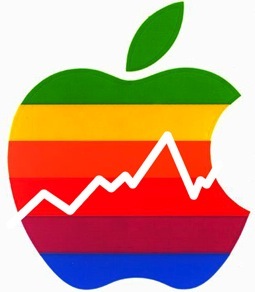 Apple’s marketcap has just hit an astonishing $500 billion dollars! Along with such an accomplishment, Apple has also just set a new 52-week high of $536.39 in after-hours trading. Today’s stock surge is mainly due to Apple sending out invites to the media for its iPad 3 event, which will be taking place on March 7th in San Francisco, California. The incredible holiday quarter the company just came off of is also a major part to the high Apple stock price. As you may recall, Apple sold a record 37 million iPhones and 15.7 million iPads during the fourth quarter of 2011. To compare Apple’s marketcap number of $500 billion; Facebook is worth $100 billion, Google is worth $200 billion, Microsoft is worth $267 billion, and Exxon is worth $406 billion.